With most of her memories scorched away by the sunbolt she cast to save her friend Val, Hitomi is slowly working to rebuild her life with the help of her magical mentor, Stormwind. When Stormwind is summoned before the High Council of Mages on what Hitomi can only imagine to be trumped-up charges, she has to summon every trick she knows, from both her old life and her new one, to attempt a bold prison break. 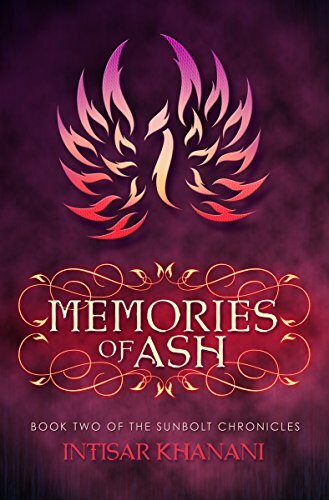 Much like the first book, Memories of Ash is oddly structured, leading from one place to another as much as it follows the dramatic arc at hand. The experience of reading it is more like watching a Netflix season than reading an installment in a series of novels. Characters come and go, their significance seeming as flexible as if there were actors’ contracts to consider. Major plot threads are introduced, not just hinted at but explored for major sections of the book, and then left for a later entry without even temporary resolution. Though the unconventional rhythm is frustrating in places, I personally didn’t mind too much, because each step in the story’s meandering course is engrossing in its own way. The heist/prison break/courtroom drama at the center of this installment is especially hard to put down, mingling Hitomi’s criminal tricks, her varied collection of allegiances, and the unique mechanics of magic in her world into a tensely compelling thrillride. The appearances of Hitomi’s lost mother are haunting, understated, and complicated. There may be more yet to come in her story and in their relationship, but if she never surfaces again, their encounter in this book would be perfect even in its gaping incompleteness. Above all, I can never praise enough Khanani’s successful creation and maintaining of a fascinating pacifist hero. Hitomi’s refusal to take life under any circumstances would normally be a phase a hero goes through before returning to normal, or a nearly irrelevant quirk that comes up sporadically between scene upon scene of action that easily could kill unfortunate bad guys and bystanders but conveniently never does. Hitomi’s personal moral code is an ever-present core element of who she is, and it makes the solutions she comes up with all the more creative and interesting. I do I hope to see some of the hanging plot threads resolved in future books, but I’m thoroughly on board to find out. Thousands of years ago, Emperor Qin of China sent out an expedition in search of the elixir of life. Now, professor of archaeology Dr. Georgia Lee has been given the opportunity to pick up where that lost expedition left off. By tracing the clues across East Asia, she hopes to make a few new discoveries about a world-shaping period of Chinese history and perhaps secure the funding to save her research department, but before long, she finds herself chasing the secrets of her own past and of human mortality itself. Although certainly not an outlier in the thriller genre, I’d describe The Imperial Alchemist as plot-driven to a mild fault. The prose is utilitarian, invisible except for the occasional peculiar word choice (I’m not sure I was supposed to laugh when a character being imprisoned, drugged, and interrogated in a remote basement lair described her mood as “hangry”), and much of the characterization feels paint-by-numbers. Grandmothers are doting and traditional, couples with dead children can’t bear the sight of each other, power-hungry tycoons have abusive alcoholic daddies, and gay administrative assistants say “fabulous” a lot. The archetypal characterization does not extend to Georgia’s gender. She’s an archaeologist, she’s the hero of a globetrotting mystery adventure, and she happens to be a woman. That’s pretty much that. 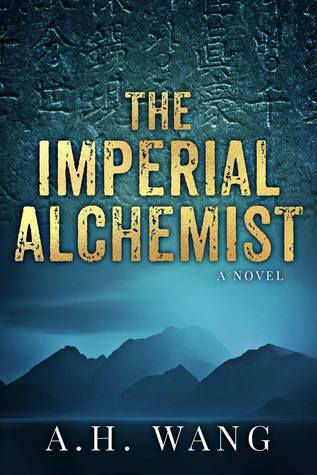 And as a globetrotting mystery adventure, The Imperial Alchemist is not only fast-paced but wonderfully flavorful. Throughout Georgia’s travels, the local history and mythology act more as her costars than her backdrop, vividly interweaving with each other and with the story, allowing the reader to experience not only her sightseeing opportunities but her blurring perception of reality and fantasy. Wang’s knowledge and passion for research are on prominent display from beginning to end, adding depth to the world without ever bogging down the story. The doses of reality aren't all pretty travel ads and grade school history crafts, either. Some of the glimpses of the past are gut-turning in a completely different way from the expected car chases and shootouts of a race for the elixir of life, and the truth of what happened millennia ago remains as complicated and subjective as a current events debate in any living time and place. Fans of James Rollins and anyone who loves Lara Croft but wishes she were a better archaeologist should definitely check this one out. The Prospero Chronicles Finale Tour & Giveaway! I want to start off with a giant THANK YOU to Maia at Silver Dagger Blog Tours, and to everyone who's volunteered their time and blog space over the next month to celebrate The Prospero Chronicles' big finish! The full tour schedule is available here to anyone who wants to follow along. As you can see, we've got some reviews and some guest posts coming up, some of them on unusually interesting subjects. 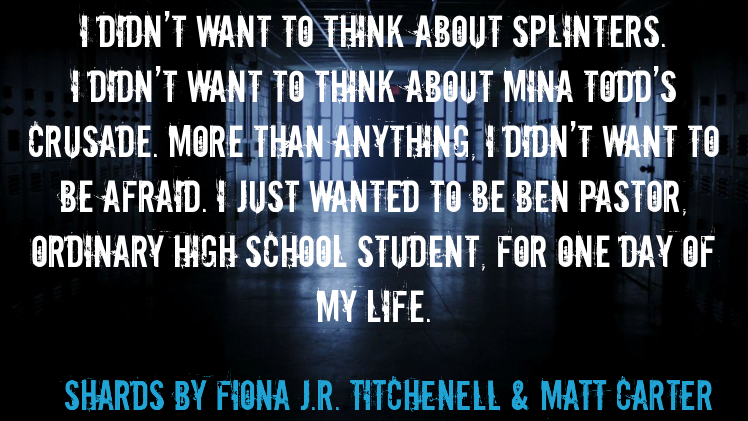 There's also a giveaway, which is already live at the very bottom of this page, if you scroll all the way down, but first, check out these tantalizing teasers Maia made! When Ben’s missing childhood friend, Haley Perkins, stumbles out of Prospero’s surrounding woods and right into her own funeral, Ben and Mina are forced to work together to uncover what happened to her. 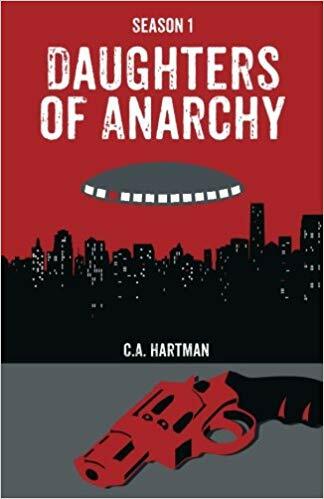 Different as they are, their unlikely friendship may be the only thing that can save the town, and possibly the world, from its insidious invaders. “Whip-smart dialogue... genuinely terrifying Splinters, the descriptions of which will have fans of monster films utterly enthralled... A promising series opener, this will satisfy those readers who like their scary stories to be as clever as they are chilling." —KQG, the Bulletin of The Center for Children's Books. “The stakes are high. The action is intense." —Washington Independent Review of Books. “Maintaining the same level of popcorn-munching fun, Titchenell and Carter are taking The Prospero Chronicles in a promising direction.” —Joe Dell'Erb, Washington Independent Review of Books. The truce is temporary. We will not humor the Splinters forever. It's only until the Slivers can be stopped, until the army of Shards being planted among our classmates can be disassembled, until we get our hands on the thing I'd almost given up believing in. ​The final chronicle of Prospero waits in these pages. Okay, okay, giveaway time! We've got a free ebook of my Horror/Sci-Fi standalone, Some Side Effects May Occur, and an Amazon giftcard up for grabs! Many generations after a brave hero saved the kingdom of Ceria from evil and darkness, his royal descendants continue to protect the land from magical threats, using the hereditary magic powers of the Blood. Unfortunately, the Blood also carries madness, so each member of the royal family is matched during childhood with a regent handler. Most members of the Blood, including Princess Tiana, welcome the help and the lack of pressure to concern themselves with things like politics, but tensions and power struggles tend to bubble to the surface whenever a new Blight strikes, pushing the Blood and the rest of Ceria’s governing bodies together to confront it. The arrival of a sky fiend, disguised as a sword and magically bonded to Tiana, is just one herald of such an impending era. The evil plot, rooted in the legacy of heroes past, is fairly divorced from the main characters’ lives and difficult to follow. It's only too easy to skim through the mythos-heavy sections, and then end up hopelessly lost when it all finally becomes important (not that I'm pleading guilty to that, or anything). Tzavelas obviously didn’t want to tell the same tired, generic fantasy story over again, which is a major part of the book’s appeal. The time of Ceria’s legendary hero is over, and the reliability and importance of that legend is constantly in question. It’s an interesting concept, but given that the family history does become so central to the finale, the dull, distant aura of irrelevance it has through the rest of the story does the book a disservice as a whole. There are many stories about people chosen for great things who “just want to be normal,” but this trope rings much truer with Tiana than with most. She's eager to help people whenever she can, and realistically glad to have the power she does to make that possible. Instead of vague angst about what a burden that power is and how much she envies people with dull, magic-free lives, we get to see exactly the life she wants — as a royal art patron hanging out backstage at her favorite theater and dancing with handsome noblemen at court functions — and exactly how her power’s side effects impinge upon it, by making it difficult to do things like tie her own shoes and hold conversations without trailing off to talk to people who aren’t really there. Tiana’s illegitimate cousin and effective co-heroine, Kiar, is interesting as well in her opposite way. She wants to be powerful and special, so much so that she once nearly died stealing a dose of magic dust that gave her the ability to access the code of the universe. Yet she continues to underperform as a magic user and hold back from asserting herself as a member of the royal family, maybe for the same reason she took such extreme measures in the first place. She wants to belong somewhere, and there’s a very relatable conflict there between wanting to be noticed and fearing being noticed in the wrong way. 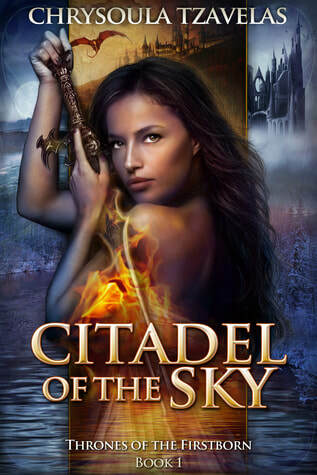 Also intriguing is the political situation of Ceria, with its figurehead royalty and semi-official appointed leadership, but only a few minor characters within Citadel of the Sky seem to be aware of just how intriguing it is, so allusions to it are subtle. Possibly later installments well delve deeper. There certainly seems to be plenty of room for it. 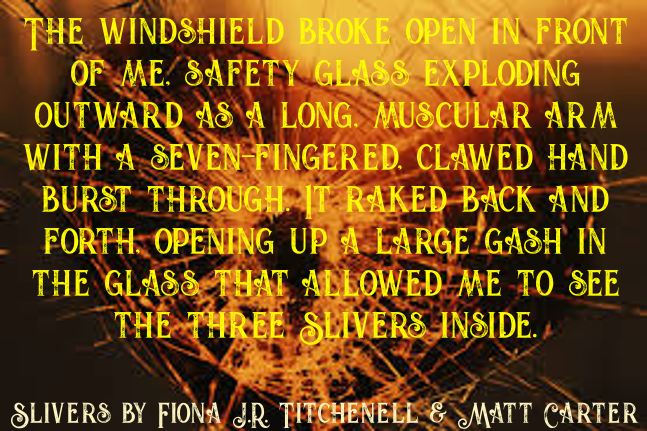 Stitches, 4th & Final Book of The Prospero Chronicles — Unveiled! After too many years of pitfalls and promises, it's finally arriving, for real, with a release date and cover and everything! 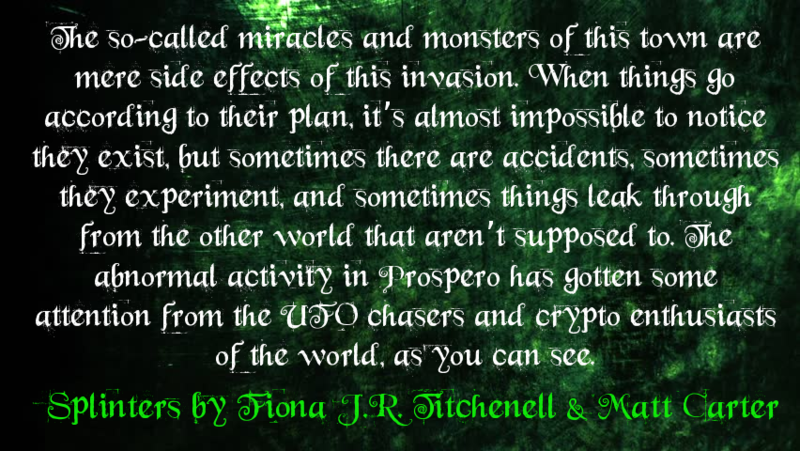 The Prospero Chronicles will have an ending at last. Release day is December 18th (yes, this December 18th). Ebook pre-orders are live, and Patreon subscribers, even at the $1/month level, can download it NOW. If you're one of those amazing fans of the series who's been waiting for this news since day one, I just want to say, thank you! This book would not have happened without your enthusiasm and patience. If, on the other hand, you're someone who's thought about delving into the interdimensional alien horrors of Prospero but never quite got around to buying a ticket, you can now do so without fear of being left on a permanent cliffhanger. 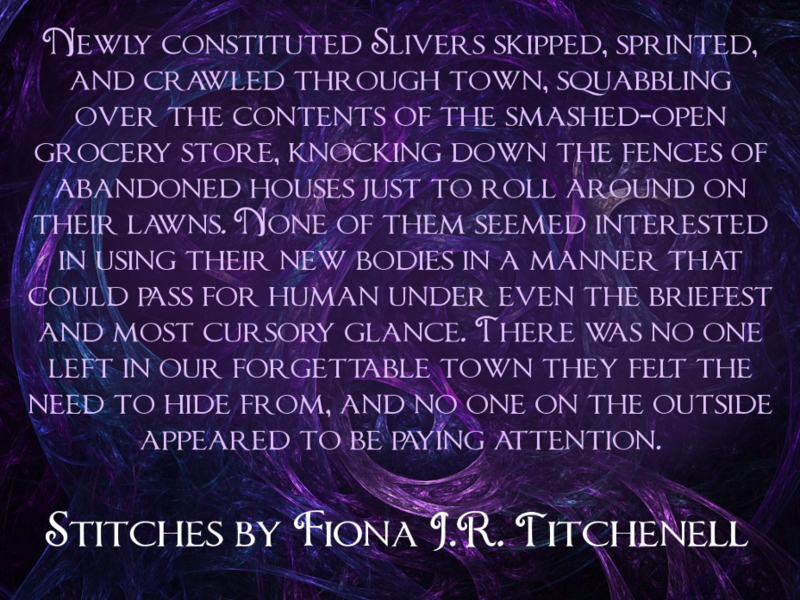 So, without further ado, let's have a look at Stitches! Thanks again, to everyone who knew, or even vaguely hoped, this day would come! Scarlett and her sister, Tella, have always wanted to experience Caraval, a traveling show and game hosted by a mysterious entertainer known only as Legend. For years, Scarlett has written letters to Legend, imploring him to bring Caraval back to their island so that they can partake of its magic, as their grandmother claims she once did. On the year when Scarlett is set to escape her island, her father, and her childhood once and for all through a fashionable arranged marriage, Legend finally responds. Tella refuses to cast aside this long-awaited chance in the name of good sense, and throws herself so deeply into the game that Scarlett must not only play but win, if she wants to salvage any trace of her family, her marriage, or her desperately held ideas on the world. The “nothing is as it seems” nature of Caraval sets it up for high expectations of twists and mind games. Those things exist here, and they’re fine and adequate, but not quite as satisfying as I was hoping for. There’s no moment where everything clicks and makes sense or does a complete one-eighty. It’s more of a gradual ninety degree curve, with plenty of time to adjust along the way. As a fan of interactive theater in real life, I also have to note how incredibly frustrating and disappointing Caraval would be as a game for the average non-main-character player who paid and traveled insane sums and distances to be there. That one’s more of a personal and silly gripe, but I couldn’t help thinking about how awful Legend’s Yelp score would be. Garber seriously knows how to set up a story, and how to set a scene. I knew I had to buy the book after flipping through the first few pages, which introduce us to Scarlett and Tella, their wants and histories, and the wonder and menace of Caraval and Legend, all with a series of brief letters. It’s a demonstration of succinct show-don’t-tell that deserves to be studied. Likewise, the visual beauty and allure of the Caraval arena is vividly rendered, to the point where I now have a crisper memory of it than I do of many real places I’ve actually been. There’s a palpable sense of magic emanating from every scene, and the forms that magic takes often have an unsettling mischief about them. The use of secrets as currency within the magical world of Caraval is a memorable touch that serves to drag character revelations to the surface and even add a touch of dark humor here and there. My favorite scene of all might be the one in which Scarlett tries to buy a dress by taking a magical lie detector test and can’t figure out the answer to “What is your deepest desire?” Characters usually have their secrets neatly defined and waiting on the tips of their tongues to be revealed, but Scarlett, like many people, has as much difficulty knowing herself as she does sharing herself. This is not to say, of course, that Garber does not know her. While I wasn’t able to get as invested in the relationships as I was hoping, Scarlett’s story is ultimately one of outgrowing fairytale love, and discovering the need for something more mutual and substantial, so the romance works well in that sense. Altogether a story with the power to linger. As an illegal Rogue Promise, Hitomi must conceal her magical aptitude, for fear of being forced to devote her abilities to exacting the will of the rich and powerful. By day, she hides among the struggling merchants of Karolene, but by night, she works with an outlaw legend known only as the Ghost, to protect the few dissenters who remain. When she’s captured by their enemies, she’ll have to cooperate with a Breather, a life-draining creature she once thought of as nothing but a nightmare monster, to survive. And even if they manage to escape, she might never make it back to the life she remembers. 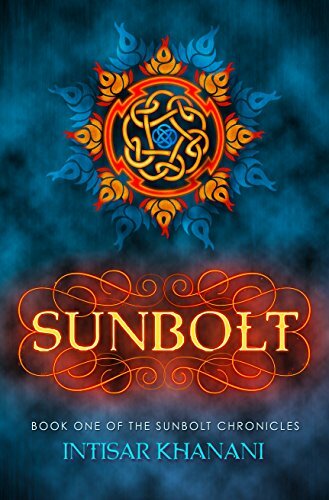 Sunbolt is the first book of its series, but it feels structurally like the transitional middle of a trilogy. We meet Hitomi as an established member of the Shadow League, with its own internal personality conflicts and its work already in progress. All too soon, she’s separated from her allies and sent instead on a buddy road trip adventure, spending much of it unconscious or weakened from magic use. I often found myself wishing I could go back and read a nonexistent previous book about her time in the Shadow League. Not because such a book is necessary to understand or appreciate this one, but because the taste we get of that story was my favorite part. I’m crossing my fingers that we get more of the League in future installments. I read Khanani’s debut, Thorn, about a year ago and liked it a lot, so The Sunbolt Chronicles have been on my radar for a while, and I’m wishing I hadn’t dragged my feet so long. Sunbolt is the first series opener in quite a while that’s made me need to buy the next book right now. Hitomi is an instant favorite, charmingly bumbling and resourceful at once. Nothing ever goes quite the way she plans, but she keeps on adapting on the fly until something works. She’s heroic and confident in her worthiness to be the one to tackle any given problem, but self-preservation still kicks in often enough to saddle her with some weighty moral grayness. As was the case in Thorn, the fantasy world is drawn with efficient but vivid lines. The details are right where they need to be to make the story come alive, and invisible where they would get in the way. Scenes of magic are surprisingly dynamic. There are only so many ways authors can describe swirling patterns of light and psychic exhaustion, but Khanani manages to make even Hitomi’s spellcraft challenges interesting and different, especially when they involve conversations with birds. There’s no love story in Sunbolt, and while I won’t be disappointed if there turns out to be one later in the series (Hitomi left a few interesting men back in Karolene that I’m hoping to meet again), it’s always refreshing to watch a heroine, especially of a YA fantasy, focus entirely on other things for a change. All in all, though I’m hoping to get back to what the Shadow League’s up to eventually, I expect I’ll gladly follow Hitomi wherever she goes. 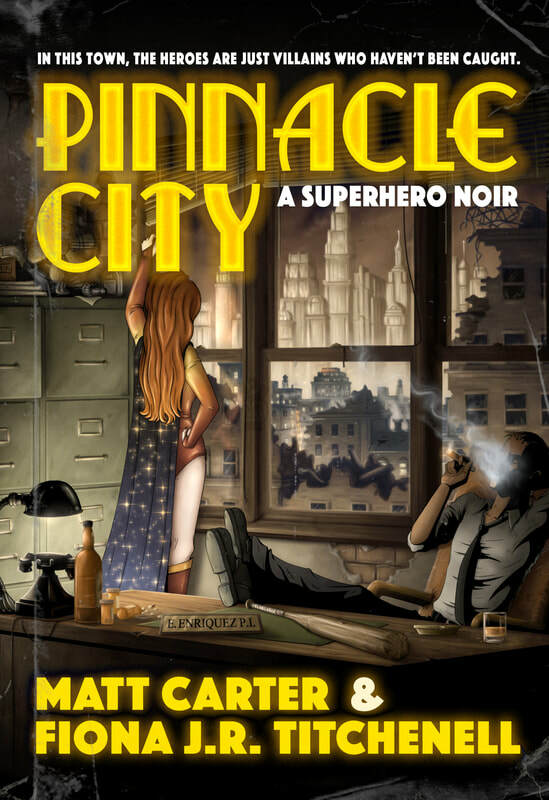 Pinnacle City: A Superhero Noir — Now Available!!! Matt and I are pleased and proud to announce that our latest dark sci-fi adventure, Pinnacle City: A Superhero Noir, is now available from Talos Press! If you've already read Matt's Almost Infamous: A Supervillain Novel, you might notice that Pinnacle City takes place in the same universe, but the characters and story are entirely new. If you haven't read Almost Infamous, don't worry. You don't need any special knowledge going into this one. What do you need to know about Pinnacle City? Read on. Or if you want to be especially retro-awesome, request it at your local bricks & mortar bookstore.